A 1.5 cent tax on soda and other sugary drinks in February 2017 led to healthier drink choices, according to a Drexel University study. When Philadelphia adopted a tax on Coca Cola, Pepsi, Gatorade and other sugary drinks two years ago, boosters said one of its many benefits would be reducing consumption of beverages that cause obesity, rotten teeth, diabetes, and other ills. Almost immediately after the city’s tax of 1.5 cents per ounce of soda and sweetened beverages took effect, Philadelphia residents were around 40 percent less likely to drink soda every day, a Drexel University study has found. Publishing their findings in the American Journal of Preventive Medicine, the researchers surveyed 900 residents of Philadelphia before and after the tax took effect in February 2017. They also compared those responses to soda consumption in nearby Trenton, Camden, and Wilmington where taxes do not apply. Study co-author Amy Auchincloss, an associate professor in the Dornsife School of Public Health at Drexel, said the tax made sense for public health. Comparing similarly priced sodas and bland bottled water, it’s no surprise people opt for the tastier drink. The tax raised money for education in the City of Brotherly Love but also made unhealthy drinks less competitive. A 40 percent decrease in soda or energy drink per day is important, because doctors consider daily consumption to be unhealthy. People were also 60 percent more likely to drink bottled water, the researchers found. But 30 percent of Philadelphians still have at least one sugary beverage each day. The long terms costs are heavy. The study reflected soda drinking patterns two months after the tax took effect, so there hasn’t been enough time to tell if consumption would remain lower. A decline in soda consumption remained at least two years after Mexico enacted a sugary beverage tax. Still, the tax inaugurated a withering attack from corporations, businesses, and free-marketeers who oppose new taxes, saying they harm businesses. It’s not clear if businesses have suffered mightily. 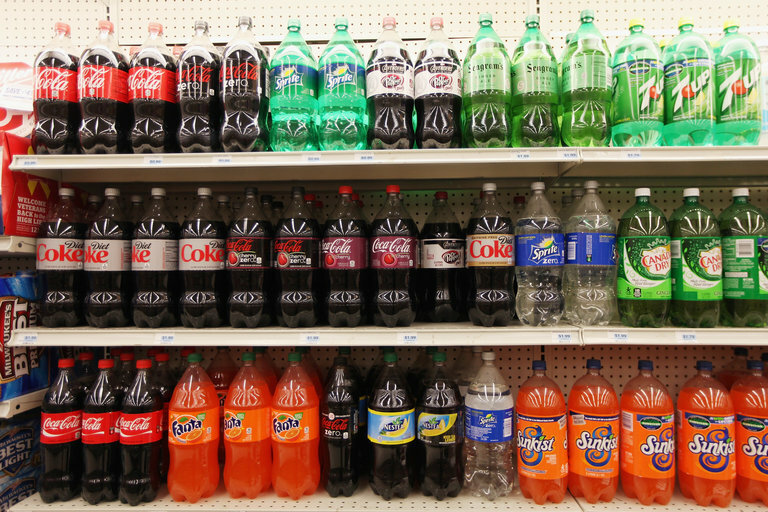 But city officials have said the soda tax revenues were around 15 percent less than forecast. Auchincloss noted that the tax didn’t change all behaviors. Her surveys showed that the consumption of sugary fruit drinks like Koolaid and Sunny Delight did not go down, even though they were also taxed.